The stakes are higher as blind auditions continue on The Voice Nigeria! 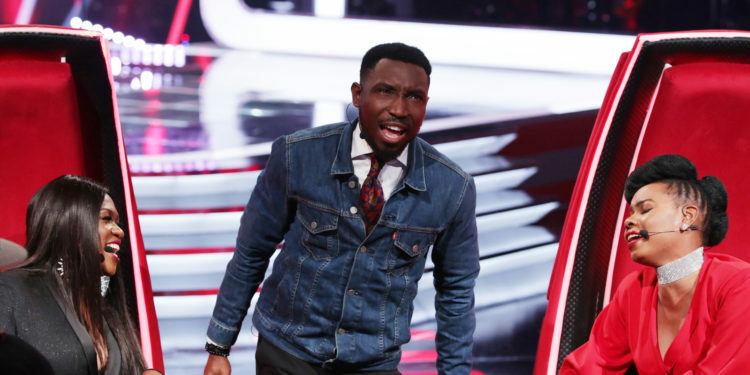 The fourth episode of The Voice Nigeria aired on Sunday, the 9th of July on Africa Magic Showcase (DStv 151) and Africa Magic Urban (DStv 153), and this featured yet another string of brilliant performances and intrigue as the coaches pitched themselves before the contestants – this time with caution as all four teams are already half full. Sandra Osamor the classic singer stole the night with her rendition of the Nigerian national anthem and got all four chairs turned. She, Nwando Okoli and Victor Thomson joined #TeamTimi. Another amazing highlight was Shapera Makepeace who sang Lady Gaga’s ‘Bad Romance’. She and Glory Amanyi picked #TeamWaje while Kessy Mbonu and Blessing Isaac joined #TeamPatoranking. At the end of the night, #TeamYemiAlade had Olawole Olusi join the ranks. As the blind auditions progress, #TeamTimi has nine team members while #TeamWaje has seven. #TeamPatornaking’s number increased to eight while #TeamYemiAlade added one person to her team. Make sure you tune in to Africa Magic Showcase and Africa Magic Urban every Sunday at 7pm Nigerian time to catch all the excitement with The Voice Nigeria, proudly sponsored by Airtel and Coca-Cola and powered by YouTube.